Known primarily as a sculptor, Portland based artist Malia Jensen works in a variety of disciplines including photography, video, and drawing. Her work can be seen in the collection of the Portland Art Museum, which recently acquired Seal + Penguin 4 Ever. Her work is represented by galleries Cristin Tierney in New York and Elizabeth Leach in Portland. No, I’ve never designed a stamp before. I like the interactive nature of the stamp and think of this edition for Changing Money as a collaboration with the stamp collector. Whether or not you actually stick them on your bills, the invitation is there. 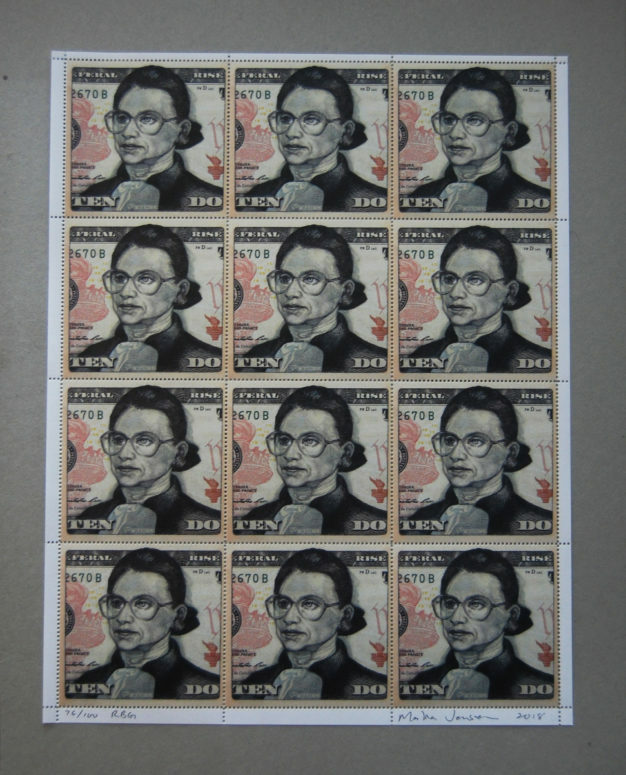 These stamps fit within the tradition of printed provocations. 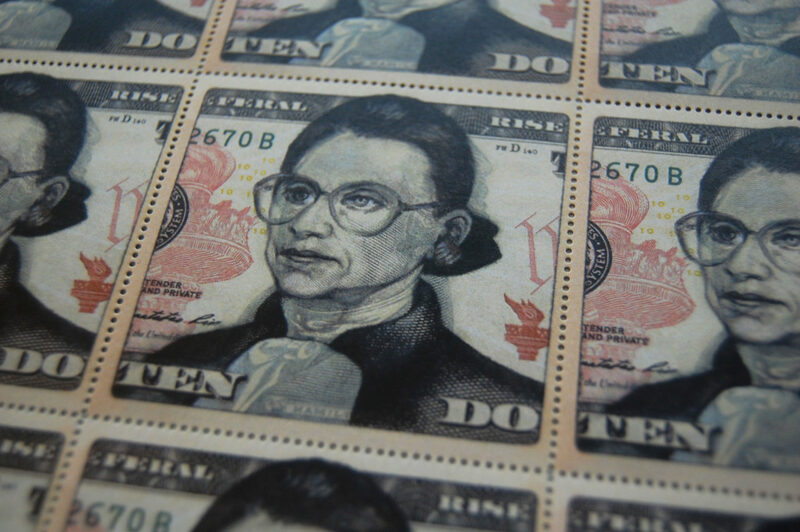 I’ve been working on this Changing Money series using colored pencil to draw important women over the face of Alexander Hamilton on the ten dollar bill for several years. It began when the Treasury Department was talking about replacing him with a woman. Their plan that was derailed, absurdly, by the popularity of the musical Hamilton. I’m currently working on a two year long project of temporary, sculptural installations I’m calling Nearer Nature, but would love to continue this series and make more poster stamps!